Most will executors discover early on that the job is more complex than they originally expected. Learn how you can manage your executor duties the right way. While you might think that being named as an executor of a will is nothing but a supreme honor, your opinion might change when the testator dies and you are suddenly charged with fulfilling that role. Let our Charlotte estate planning lawyers give you some tips to better manage your duties as an executor. The fact is that the executor role is one that is both complex and tedious. It can take anywhere from six months to more than a year to complete all your duties and can leave you emotionally, mentally, and even physically worn out by the time everything is said and done. Still, the biggest danger to the successful administration of an estate is always disorganization. With the right approach to managing your executor duties, you have a better chance of enjoying a smoother and less stressful probate process. Let our Charlotte estate planning lawyers help. Before you set out on your quest to settle the deceased’s estate, take stock of what you need to get the job done. The first and most important thing you will need is time – but that is the one thing that often seems to be in shortest supply. 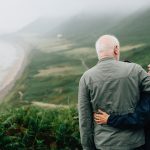 Some of the tasks with which you are charged can be tedious and time-consuming, and those are the things most likely to cause you frustration during your time as executor. 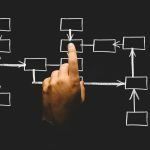 However, by being properly organized and recognizing when you need assistance, you can alleviate many of those concerns. Everything begins with organization. You’ll need to become a dedicated list-maker, as you’ll need to catalog everything from assets to debts. You’ll also want to track your every transaction to make sure that you have documented proof of every decision that you made. It is also useful to note why you make certain decisions too, in case the court or heirs come back later and question your choices. Inventories and accounting that you will do may require outside assistance since they involve special skills. 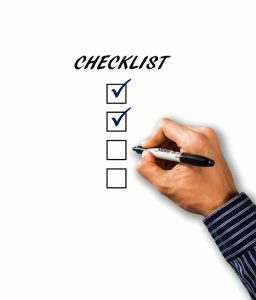 To stay organized throughout this process, you can use a simple executor checklist to help guide you through the most relevant parts of your job. Find the documents you need. Remember, you won’t have any power to act as an executor until the court has received the will and your request to be recognized in that role. You need the original will and a death certificate to present to the court. Our Charlotte estate planning lawyers can help you understand the basic duties you will be expected to fulfill. Once you’re named as executor, we recommend that you hire a lawyer. No matter how confident you may think you are when it comes to these legal and financial concerns, rest assured that there will be things that come up that will be more complex than you now expect. Our Charlotte estate planning lawyers can help to provide guidance and direct you through the process so that no mistakes are made and your personal interests are never placed in harm’s way. Notify the named beneficiaries so that they are aware that probate is underway. Maintaining open and transparent communication with those heirs is the best way to avoid potential conflicts later in the process. Also, publish notification to creditors in the local newspaper. You should also directly notify any known creditors so that they can make formal claims. Create a list of the deceased’s assets and gather any assets that are currently in others’ possession. These assets need to be protected to ensure that you are not liable for any loss. You should have the assets appraised to determine the value of the estate. Use the estate’s resources to pay all valid debts. That includes probate-related expenses, income taxes, and any state and/or federal taxes that may be due. If there are trusts that need to be created under the terms of the will, do so. Prepare an accounting of all estate transactions so that it can be reviewed by beneficiaries. Once all debts are paid, you need to follow the directions in the will to ensure that all assets are properly distributed to heirs. Be prepared to liquidate certain assets if that is what it takes to fulfill the decedent’s lawful instructions. Finally, you need to provide the court with the final accounting so that the estate can be formally closed. You should also be prepared to seek the assistance you need to carry out your duties. The law allows you to hire professionals in certain fields to ensure that the estate is properly settled. For example, you can and should retain a competent estate administration attorney to help protect your personal interests and guide you through these duties. When you retain these professionals to help with your executor duties, the estate covers the costs. 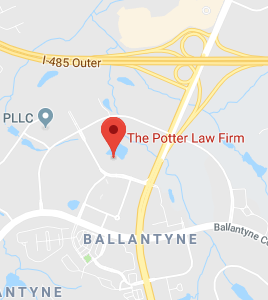 If you have questions regarding executor duties or any other estate planning matters, please contact the experienced attorneys at The Potter Law Firm for a consultation. You can contact us either online or by calling us at (704) 944-3245 or for individuals in Kentucky at (606) 324-5516 (Ashland, KY) or at (859) 372-6655 (Florence, KY). We are here to help!